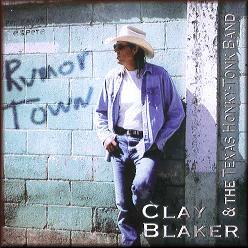 Clay was born in Houston but raised in Almeda, a small town about thirty miles south of the Texas oil capital. He began writing songs in his early teens as a way of expressing himself and taught himself how to play the guitar. George Strait recorded one of Clay's songs, "The Only Thing I Have Left," on his second album in 1982 and Clay's songwriting career really took off. 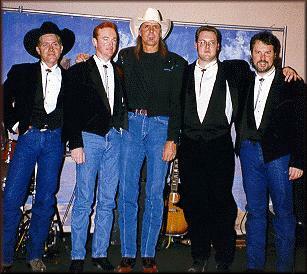 Over the years, Strait recorded six more of Clay's songs, and others were picked up and recorded by Mark Chesnutt, Tim McGraw, Clay Walker, LeAnn Rimes, Ram Herrera, Roger Brown, Perfect Stranger and, most recently, Deryl Dodd. Since 1995 he has been a staff writer with Island Bound Music, Inc., of Nashville. 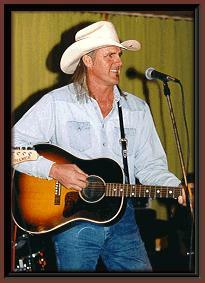 Over the years, Clay has had many of his songs recorded by regional, national, and international country stars. His works can be found on popular artists' CDs and cassettes and can also be heard in major motion pictures, including Pure Country, starring George Strait, and The Thing Called Love, the last movie River Phoenix appeared in before his untimely death. With such an impressive list of credits, one is bound to be impressed with Clay Blaker. Of course all the credits in the world aren't enough to sway me. The deepest impression Clay made on me is the heart and soul that envokes such talent. You can't listen to Clay's music and walk away having NOT learned something about what makes him tick, seeing into the depths of the man himself. It's easy to realize how he has come to make so many friends and why so many of the greats record his songs. I'm also proud to have the originals recorded by Clay Blaker himself. Clay has retired to the warm and sunny beaches of the Caribbean to relax and enjoy living off his hard earned song writing royalties. Don’t we all wish for the same. La gioia di niente, Clay! 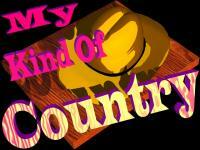 Copyright ©1996 - 2006 My Kind Of Country Produced and maintained by Marlene Slater, All rights reserved. This page and all contents therein are the sole property of Marlene Slater and may not be reproduced or copied in whole or in part without the express prior written consent of the owner. Copyright and trademarks contained in the links embedded on this page are the property of their respective owners. The special matching MKOC icons were created by Mark Solomon specifically for MKOC. All rights reserved.